Your telephone service is your vital connection to your customers, remote and mobile employees, partners, and suppliers. Phone technology has changed more slowly than other communications technology, but now is a great time to look at SIP Trunking technology, which delivers more capabilities at a significantly lower cost than traditional phone services. Many businesses use traditional TDM lines for voice communications needs, but this requires two different network infrastructures and the costs associated with two networks. SIP trunking allows voice and data communications to utilize the same network, resulting in lower costs and greater flexibility and ability to respond to growth and changing demands. Significant less expensive than traditional analog phone lines and PRI networks. 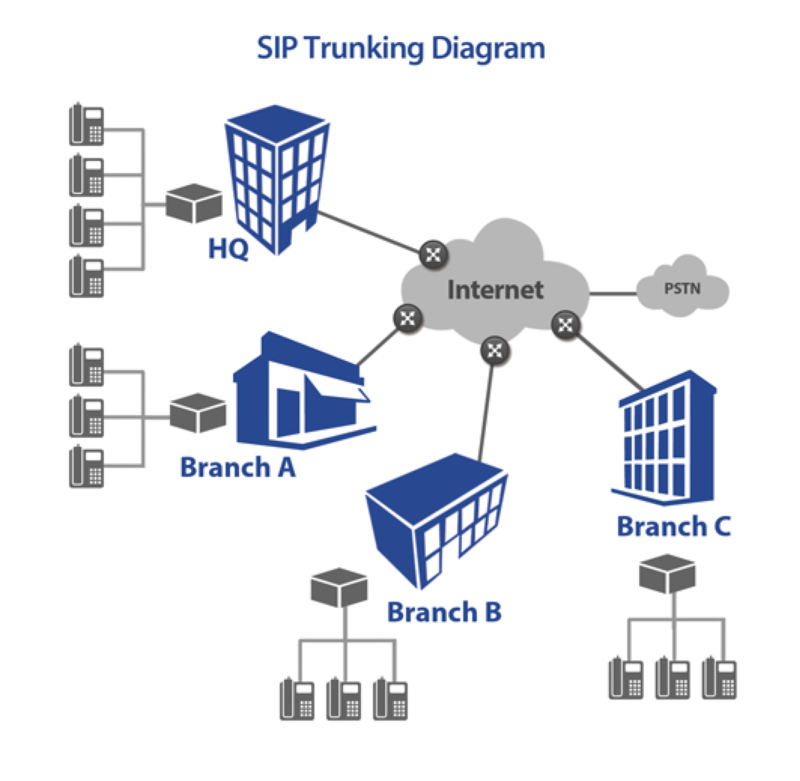 By combining voice and data over a single IP connection, SIP trunking eliminates the need to purchase voice and data separately. Save up to 50% over traditional phone services. First Communications SIP Trunking works with your existing IP PBX equipment, so there is no need to spend money replacing phones and equipment. First Communications can provide a variety of reliable and secure business broadband options, with consistently clear high quality connections. You can also provide your own broadband connectivity if that makes sense. First Communications automatically adjusts the bandwidth for voice and data traffic to ensure optimal use of your network resources. Bandwidth can be allocated to voice services as needed, and then re-allocated back to data when the voice usage subsides. First Communications can provide your business with SIP Trunking services anywhere in the United States. Because your business isn’t just about 9-5 anymore, our experienced and dedicated support team is available at any time, and can make repair technicians available after traditional business hours in order to keep your business communications running smoothly.